This weekend I was really craving a pastry or something sweet. 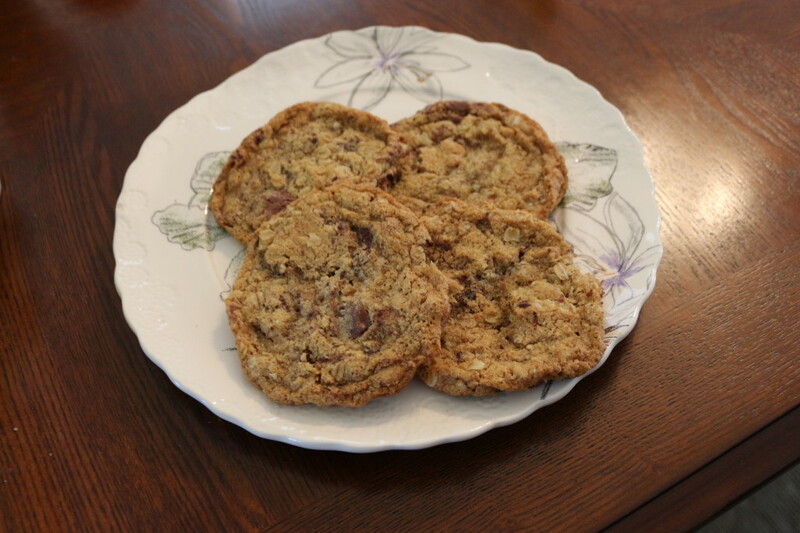 When a post from one of my favorite food blogs (the Sprouted Kitchen) came in with a mouth-watering picture of cookies, I knew I had my treat. I altered the recipe a bit to make it out of more easily accessible ingredients, and also doubled it to make sure I had enough cookies. As stated below, the recipe makes about 30 good sized cookies. 1. 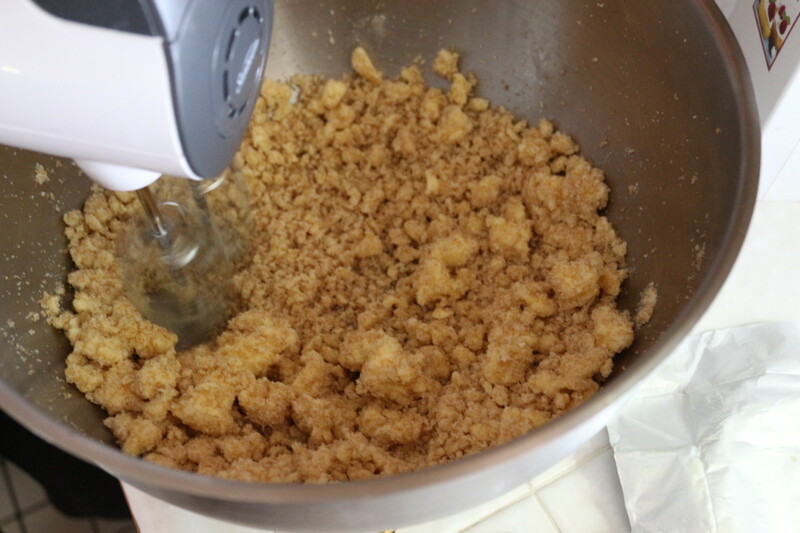 Put the butter, turbinado sugar and white sugar in a bowl. With a hand mixer, cream the ingredients together until light and fluffy, about 2 minutes. 2. Add the eggs, sea salt, vanilla extract, almond extract, maple syrup and maple sugar to the bowl. Mix to combine. 3. 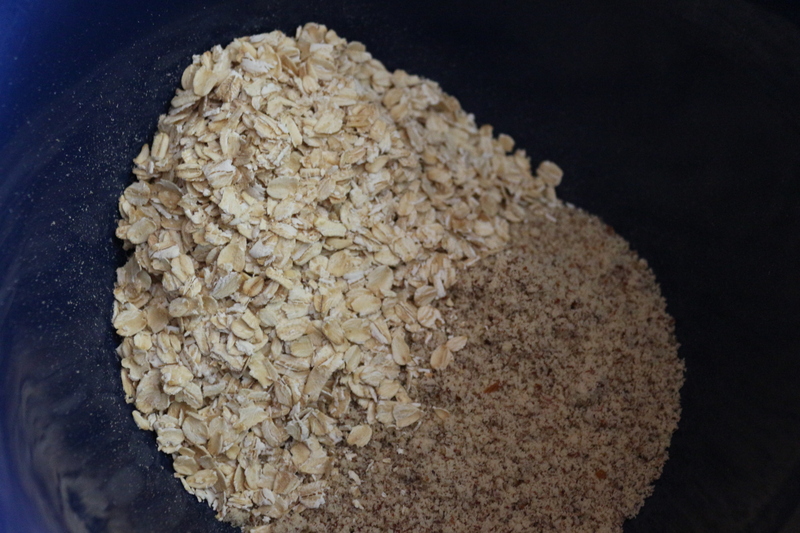 In a separate bowl, combine together the almond meal, oats, wheat flour, cinnamon and baking soda. Stir well to combine. 4. Add the dry ingredients to the wet ingredients and mix just to combine. 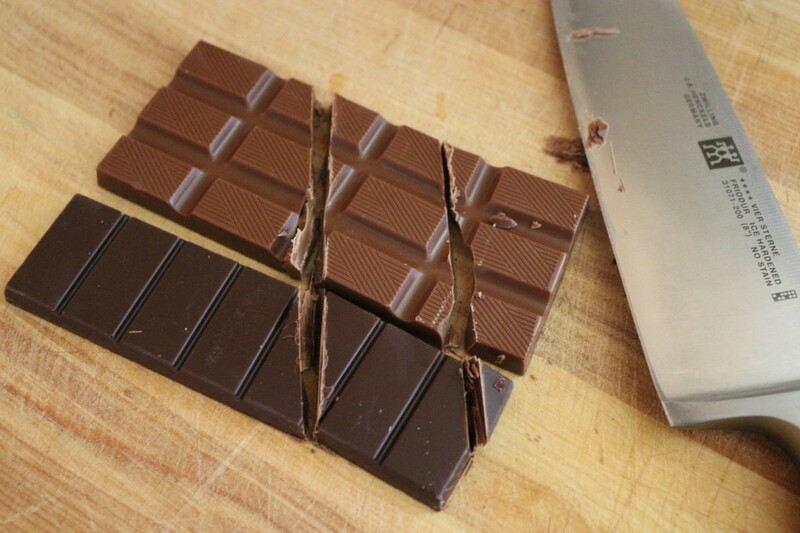 Then, fold in the chocolate chunks. 5. Refrigerate the cookie dough for at least 20 minutes, and up to overnight. In the meantime, preheat the oven to 350 degrees. 6. 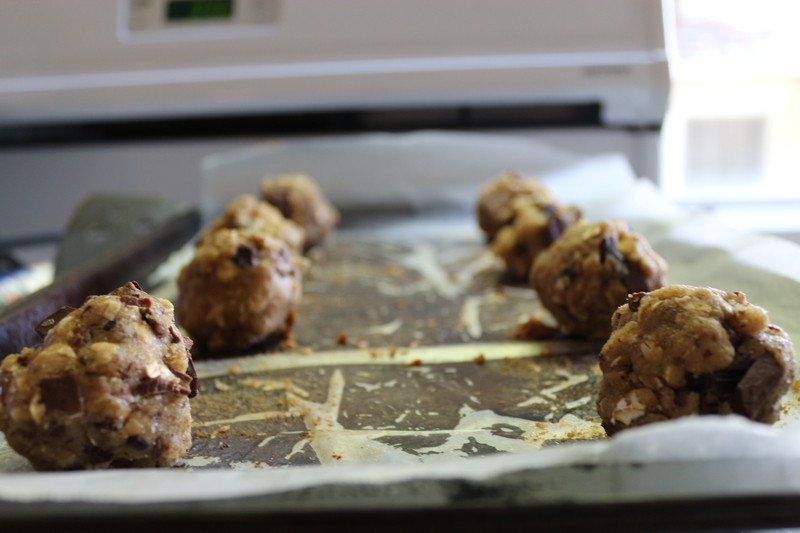 On a cookie sheet lined with wax paper, place larger-than-golf-ball-sized balls of cookie dough onto the sheet, leaving space between for spreading. Bake the cookies for 6 minutes, turn the sheet and cook another 6-8 minutes. When you remove the cookies, they will be soft, but after they cool they will set. Allow the cookies to cool and then enjoy! This entry was posted in Snacks, Sweets and tagged Chocolate, cinnamon, Maple, oats. Bookmark the permalink.